It seems that both Kezia Dugdale and Willie Rennie have realised that there is definitely going to be another referendum. And that it is not going to be possible for British nationalists to deploy the same lying, scaremongering tactics as before. I suppose they are to be commended for their willingness to change. But let's not be fooled into imagining that they do so with any enthusiasm. They really had no choice. To a very considerable extent, the divide in the first referendum campaign was not so much between Yes and No as between those who had questioned the political union between Scotland and England and those who had never even thought about the matter. That is why there was never a coherent case for the union such as we were constantly being promised. You can't make a persuasive argument for (or against) something unless you have first examined it; scrutinised it; challenged it. The Yes campaign was built on the foundation of a long tradition of asking awkward questions about the constitutional settlement. It drew on three centuries of internal debate concerning every aspect of the political union. The anti-independence camapign had nothing remotely similar. The initial Better Together message was no more sophisticated than an imperious command to, "Just say NO!". No need to think about it. The union is fine because... well... because it's old! It's all any of us have ever known. What's the point in changing anything? Besides! Everybody knows that "Bigger is Better!". From there it descended into the grindingly negative litany of mainly economic doom-mongering (because nobody does doom-'n'-gloom like a hired economist) that it remained right up to the final stages when, in a fit of panic, the infamous "Vow" was cobbled together, adding empty promises to the "smears and fears". It was a campaign which would have shamed all who were involved, but for the fact that they were rendered impervious to shame by their arrogant self-righteousness. The No vote was a triumph of fear over hope. But it was a hollow victory. At one of the counts in the miserable early hours of the Friday morning when the outcome was clear, I recall speaking to a senior figure in Scottish Labour who had the good grace to shake my hand and offer his commiserations. In my exhausted and distracted state, I don't recall whether I actually said the words or merely had the thought, but it certainly occurred to me at that point that they had fought what was essentially a party political campaign. They had won that campaign. But, in the process, they had lost the country. How true that has turned out to be. In the whole of the two years of the last referendum campaign the unionists never once addressed the fundamental constitutional question. The whole purpose of their effort was, not to win people over, but to brow-beat them into submission. The next referendum campaign will be very different. To whatever extent there may be a single anti-independence campaign along the lines of Better Together, it will not be able to rely on the methods of Project Fear. It will be less able to avoid the fundamental constitutional issue. It will be forced to face intense scrutiny of the union, and try to come up with satisfactory answers to penetrating questions. The No campaign, if there is such a thing, will be obliged to campaign on the basis of what the union actually is, rather than on the basis of luridly dystopian fictions about what independence might bring. Dugdale and Rennie appear to have had it brought home to them that leaders who attempt a rerun of the earlier anti-independence campaign are highly likely to part company with members and voters who are now better informed and no longer susceptible to scare stories. They will be dealing with people more inclined to question the worth of the political union. They will be addressing an electorate that is less likely to be unthinkingly enamoured of the British state. Dugdale and Rennie have had to accept that independence can no longer be represented as unthinkable. Because there are just too many people thinking about it. If there is one thing that the independence movement needs less than the infamous factionalism of the left it is people jumping on the bandwagon as the media exploit personal antagonisms and jealousies among leading figures on the left for the purposes of a vendetta against one of the establishment's most reviled hate-figures. I am not enamoured of the term "feminazi". But my dislike for language which trivialises a truly abhorrent ideology is in conflict with my predilection for the bon mot - the word which captures the very essence of something, or which describes perfectly a particular phenomenon. I regret to say that "feminazi" is very much the apt term for some of those who reacted to the above comment on Saturday's Hope Over Fear rally and its aftermath with such unbridled venom and brazen dishonesty. I feel somewhat justified in using the term "feminazi", not least because those who responded so vituperatively to my comment were themselves guilty of using language in a way that trivialise an abhorrent ideology. I refer to people who deploy the word "sexist" as a cudgel with which to bludgeon into silence those whose views they take exception to - however irrationally - without regard for the appropriateness of the language. The "feminazis" were repeatedly invited to point out what was sexist in my post. None could do so. But this didn't deter them from repeating the inane accusation, ad nauseam and with ever increasing shrillness - as if that alone would make it true. It wasn't only these bile-spewing harpies who reacted to my rather innocuous remarks with melodramatic hysteria. Another category included those who regard even the slightest reluctance to join in their "Two Minute Hate" as a wholehearted endorsement of the subject. One is either an enthusiastic participant in their game of detestation trumps, or one is unceremoniously assigned to a diametrically opposed camp reserved for those who perversely venerate the hate-figure du jour. There is only pure hatred or cult-like devotion. No other possible attitude exists. Not even benign indifference. The hate-figure in question on this occasion is, of course, Tommy Sheridan. Although astute readers will have noticed that my original post made no mention of that particular individual. Or any female persons. Or any persons at all. And for very good reason. Those who imagined that my post was all about Tommy Sheridan were guilty of what I call "creative reading". That is to say, they read something other than what was written. They added their own content and connotations so as to create the thing they were geared up to react to. It's rather similar to, if considerably more crude than, the politician's "art" of fitting the question to the answer that they have prepared, even if there are two totally unrelated topics involved. This isn't about Tommy Sheridan. It would be gratifying if some people would get over their inane obsession with the man. The self-destructive factionalism to which I refer was rife on the political left long before Sheridan was even born. And the establishment has always stood ready to exploit such divisions for its own nefarious ends. My concern is that the Yes movement might be tainted by this puerile internecine squabbling. 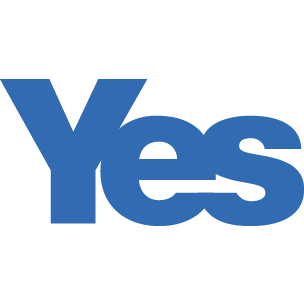 The strength of the Yes campaign has been its inclusiveness. Now, coteries are forming and asserting the right to determine who is and is not deemed fit to be part of "their" movement. People are denounced as "not fitting into the ethos". They are declared persona non grata by self-appointed gate-keepers of the independence movement. They are cast out by self-ordained guardians of the purity of the cause. To anyone who has had even passing experience of group-based left-wing politics, all of this will be sickeningly familiar. Tommy Sheridan is merely a high-profile target. But there must always be a target. Because these groups define themselves by their targets. Once they have flexed their muscles on Sheridan, they will move on to others - all the while cheered on by the ruling elites who have everything to gain from a weak and fragmented countervailing power. This is a familiar process. Familiar enough that it should be easy to avoid. And yet we are seeing people rushing headlong into it as if totally unaware. Or as if carried away by the thrill of the witch-hunt. Saner heads must prevail. The Yes campaign was a wonderful thing to be part of. It was was bold and aspirational; peaceful and lawful; good-natured and cooperative; imaginative and humorous; worthy and honourable. But most crucially of all it was inclusive. It was truly a people's campaign. It can be still. But not if we let these self-important, self-righteous, self-serving packs prevail. Our independence movement must be open to all who seek the restoration of Scotland's rightful constitutional status. The only qualification required is a genuine desire to bring Scotland's government home for the benefit of all who call Scotland home.